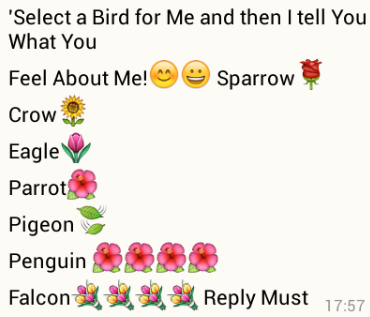 Select a Bird for Me and then I tell you what you feel about Me! Whatsapp Game Submitted by Anuradha Kaushal using the Submit a Puzzle Feature of the Site. Answers for Select a Bird for Me !! Pigeon: U Love me too much! 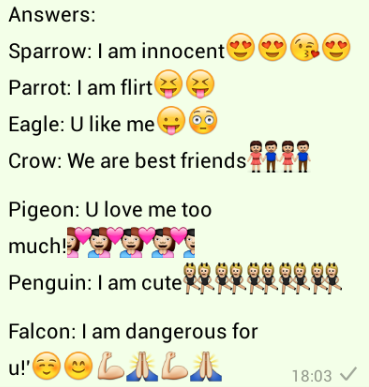 Falcon: I am Dangerous for u!